Solving the challenges of a ceiling leak situation, water heater loss, or extreme toilet overflow takes skill and field experience to know precisely what to do and how to do it, and this is what makes 911 Restoration Seattle owner Sagiv Winer and his water damage Redmond team the go-to source for home restoration work in the area. Sagiv and his water damage Redmond team know that the best way to prevent a water damage situation from getting any worse is to be at the scene of the trouble quickly so as to stop the flow of water and prevent mold growth from setting in too. In addition to being at the site of a water damage disaster early, Sagiv and the water damage Redmond team can also start on a project at any time too. Don’t let a stream of water damage ruin your gorgeous home. 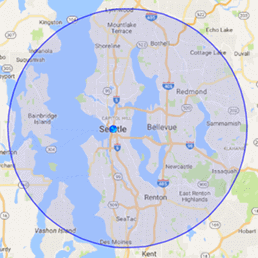 Contact Sagiv and the water damage Redmond crew with 911 Restoration Seattle and get all of your home’s needs addressed today! Sagiv and the water damage Redmond team know everything there is about the effects of water damage and what to do about it, but they are also specialists when it comes to preventing these situations in the first place too. People must clean out their gutters and downspouts so that they can avoid an overflow. Clogs form barriers to the flow of water and overflows give water a chance to seep into the roofing layers and cause huge amounts of water damage. Check on the hoses, fittings and connectors that link up your appliances to the water line. These can split or rupture over time and cause massive amounts of water damage to occur when you are least prepared for it. Inspect the trees on your property to make sure that they are not overhanging the roof. Dead branches that fall might punch right through your ceiling and introduce water to the inside in the next major storm. Take some time to make sure there is no rust on or puddling near any of your pipes as this may indicate a corroded section that is in danger of bursting when put under more pressure. Let a restoration expert or plumbing professional come and inspect your whole system with a snake scope to make sure that there are no small obstructions which may grow to become more prevalent water damage sources later down the road. 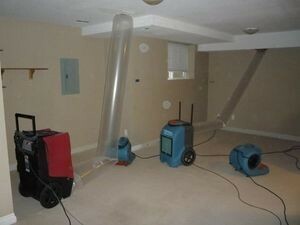 Don’t let a rusted pipe, water heater loss, or ceiling leak cause mass water damage in your home. 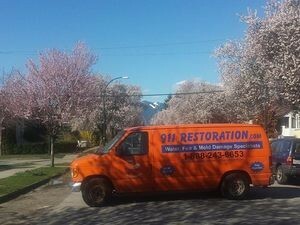 Contact our water damage Redmond experts with 911 Restoration Seattle today! Sagiv and his water damage Redmond crew’s familiarity with the industry and all of the variables that can arise makes them the most trusted source for services in the area, and it’s also how they knew exactly what to do when called out to a recent mobile home pipe burst project. The section of pipe that burst was heavily corroded, and typically the introduction of filtration systems does not cause bursts, but on rare occasions, circumstances such as this converge to create an unfortunate water damage incident. If your home has aging pipes and you are worried that a new addition to the water system might cause a similar situation, then don’t hesitate to contact Sagiv to learn more. If you are already amid a water damage event of some sort, then contact Sagiv and the water damage Redmond team with 911 Restoration Seattle today!